Crowns are a familiar source of chimney problems that result in chimney repairs. 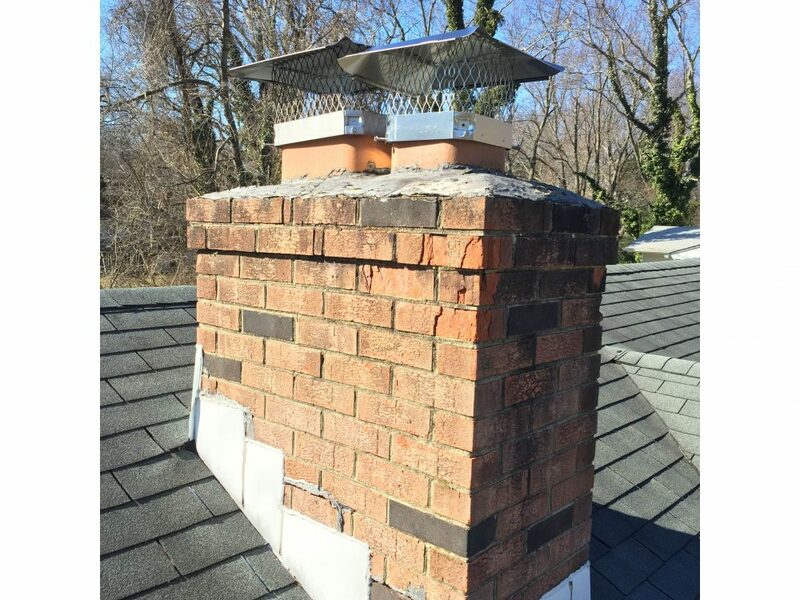 From Silver Spring, MD to Annapolis and everywhere in between, chimney crowns are a cause for concern. 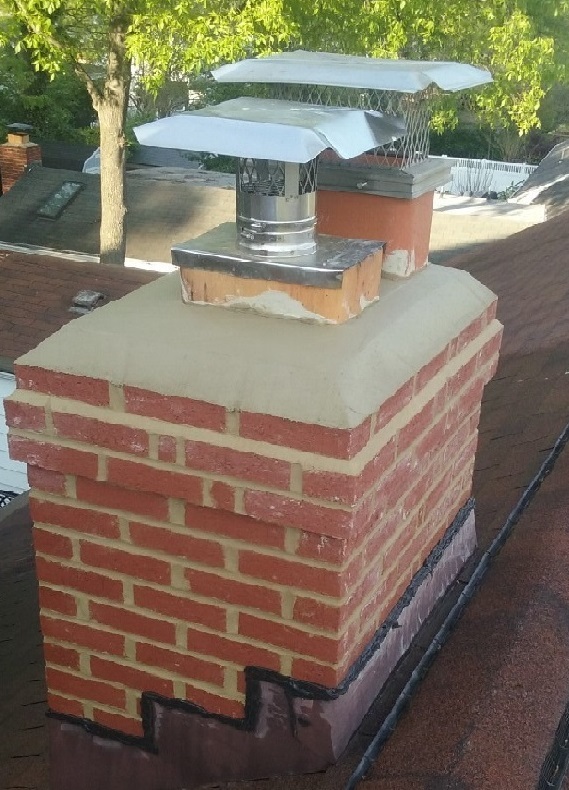 The is part 1 of a 3 part series concerning common chimney crown repairs. The chimney crown is the layer of concrete sitting on top of the last row of brick, and its purpose is to shed water away from the chimney. It’s typically 3″-4″ inches thick and starts high around the flue liner then slopes down to the edge of the bricks. 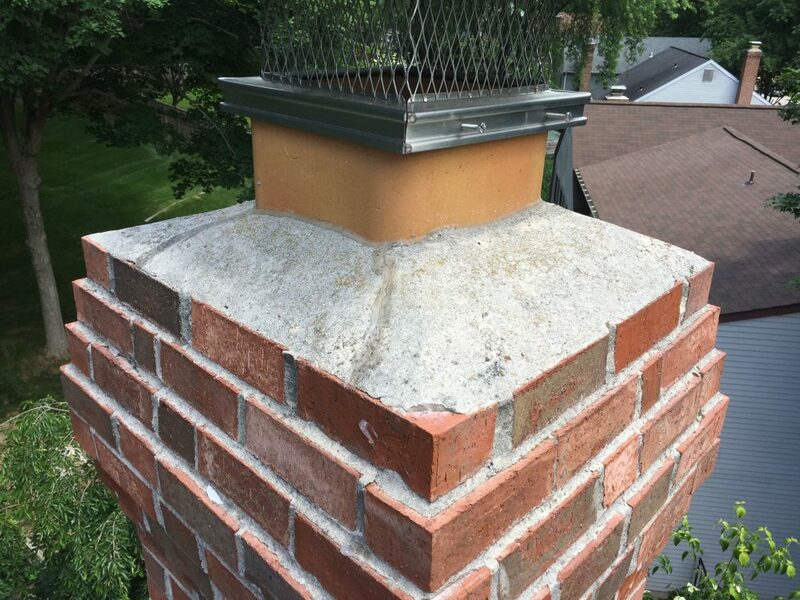 The chimney crown is the first line of defense for the masonry chimney, once the crown fails the chimneys become prone to leaking, and the masonry below will soon fail after. If caught early, the crown can be sealed to preserve it and prevent further damages. There are many different crown repair/sealant products available to us, and we’ve tried them all. Over the years, we’ve found that Crown Guard is a superior product for preserving and sealing the crown. 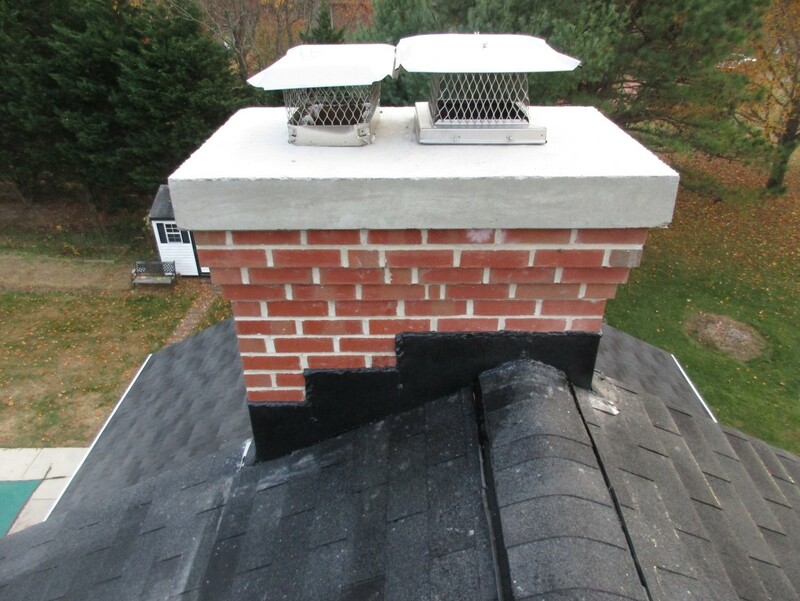 These two chimney crowns were sealed with another type of crown sealant, and both of them failed! 1) The first one was applied to a crown that needed to be rebuilt. The existing crown was so severely damaged that some areas were not even covering the bricks. The sealant started cracking (not suppose to happen) and peeling off. We rebuilt the concrete crown. 2) The second one was applied to a crown that was in reasonably good shape. They sealed the crown in an attempt to stop a leak. As you can see the crown sealant is peeling off and the leak came back. We ended up rebuilding the concrete crown. Crown Guard is applied when the crown is cracked but is still structurally intact. The surface area of the current crown is first cleaned, then the Crown Guard is applied over the existing crown and covers all the surface areas of the crown. Crown Guard is clear and can be applied with temperatures ranging from -40 degrees to +140 degrees Fahrenheit. It won’t crack or peel like other crown repair/sealer products in the market, and it resists water immediately. It is important to choose a chimney repair company like ours who only uses the best products for sealing chimney crowns.